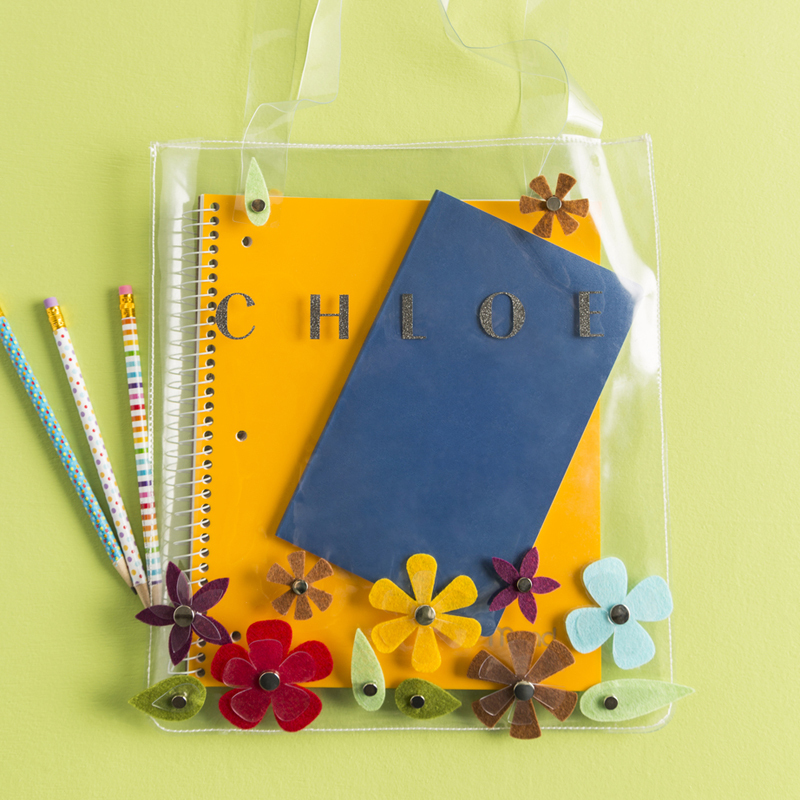 It is hard to believe that we launched Cricut Maker™ just one year ago. 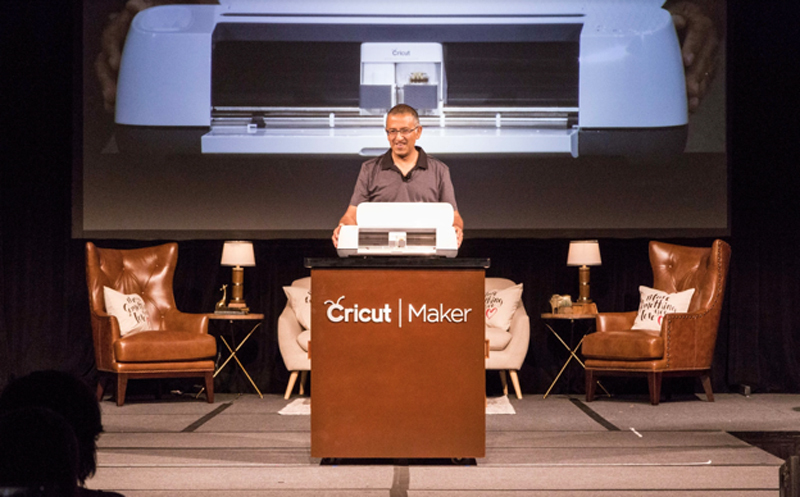 The excitement from our members was infectious as our CEO Ashish Arora showcased Cricut Maker and its new, innovative capabilities. Now -- for the first time on the desktop -- makers could cut materials from delicate papers and un-backed fabric to heavier things like chipboard, balsa wood and so much more. Ashish Arora, Cricut CEO, announcing Cricut Maker on stage during Mountain Make-A-Thon 2017. 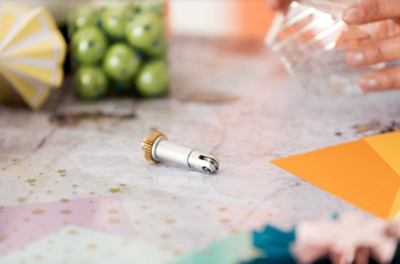 In one year, Cricut Maker has come even further in delivering on the promise of More Tools, More Materials, and More Possibilities. 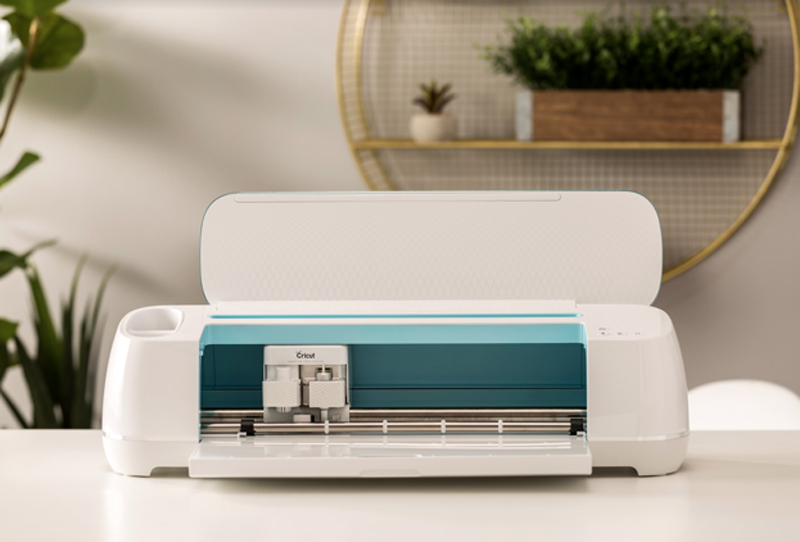 Unlike our Cricut Explore™ Family of machines that cuts by dragging the blade, Cricut Maker uses a patented gear system that works with all of our original tools plus the new Rotary Blade, Knife Blade and Scoring Wheels. Make more of everything! 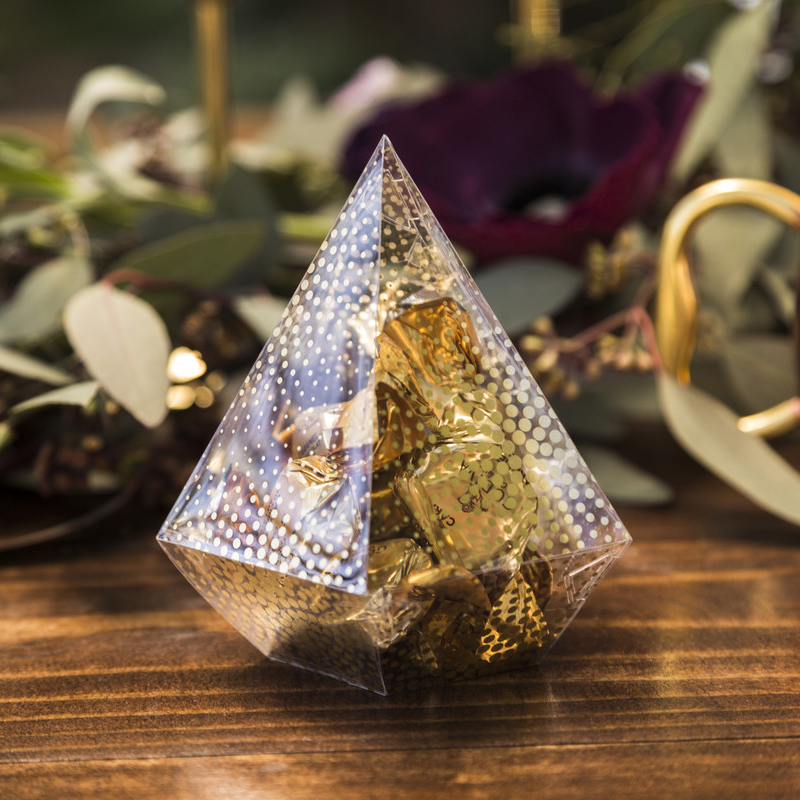 Intricate cuts, finer papers, deeper scoring lines, heavier materials, and more. 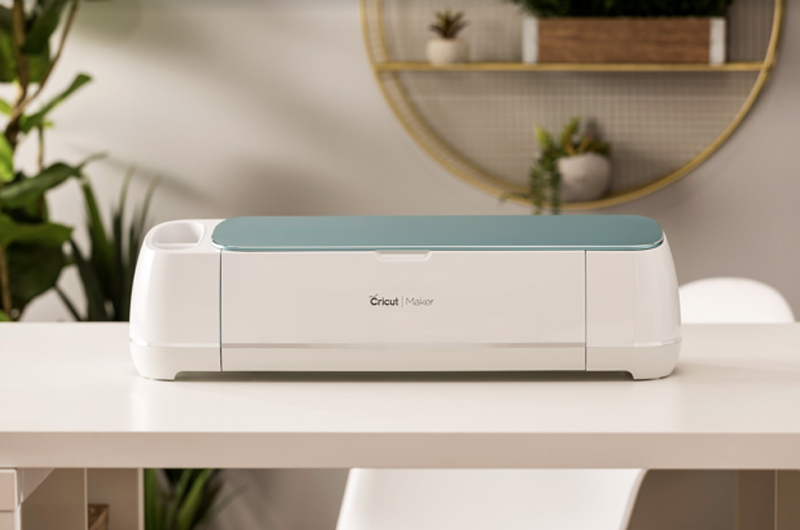 The power of the Maker -- up to 10X Cricut Explore Air 2 -- and its sophisticated steering and intelligent pressure detection systems are what gives makers the unlimited versatility they need to make the projects they couldn’t before. We are excited to announce on this very special birthday, another addition to the Cricut Maker family of Champagne and Rose machines: Cricut Maker in a beautiful shade of blue. This new Cricut Maker is available on Cricut.com and is coming soon to Michaels.com; it will be available in retailers this fall. The Blue metallic lid on this new Cricut Maker provides a pop-of color with a sleek design. Cricut Maker in Blue is stunning with its blue lined interior. Cricut Maker cuts fabric without backing or stabilizer. The groundbreaking Rotary Blade brings customizable, precision fabric cutting to the home for the first time. The blade glides and rolls, and can turn within a quarter of an inch to cut through hundreds of fabrics. Rotary Blade allows sewers and quilters to cut intricate shapes and patterns with accuracy that’s not achievable with scissors. It also does multi-layer cutting: up to three layers of fabric at a time. 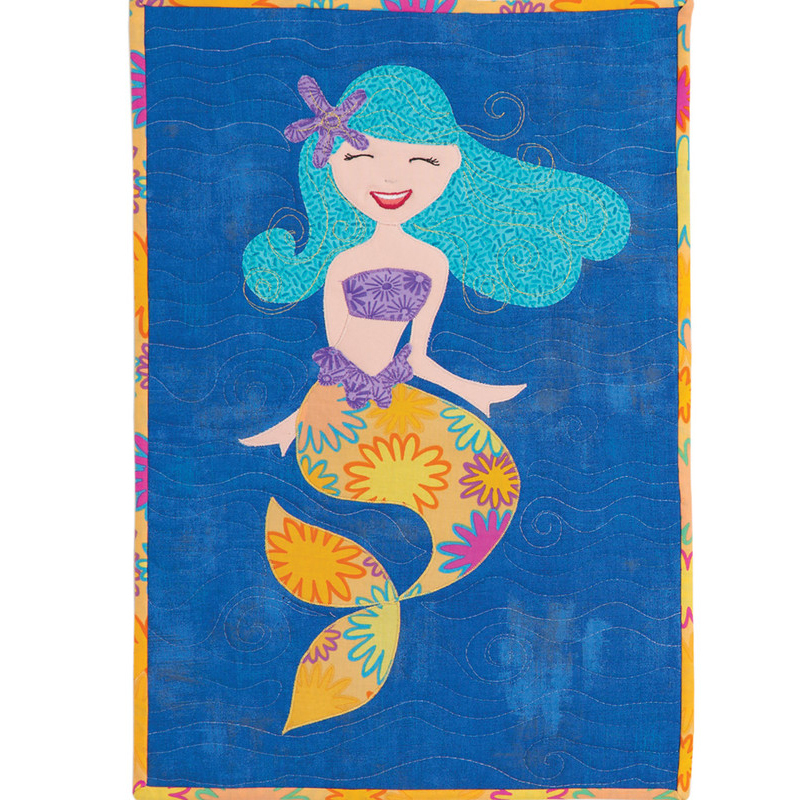 Check Design Space for hundreds of sewing and quilting patterns. Rotary Blade opens new doors for anyone who loves to sew, or wants to learn or rekindle their love of sewing. 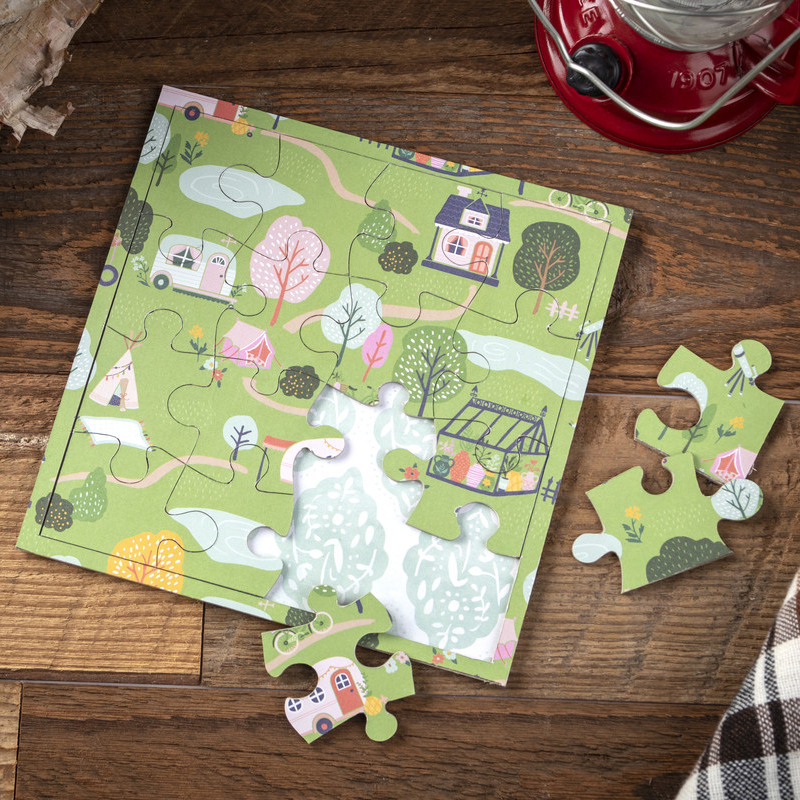 It lets Makers focus on the fun part of the process: the creating and sewing, not the cutting. Cricut Maker can cut wood. Yes, that’s right! In May 2018, Knife Blade for Cricut Maker went on sale. 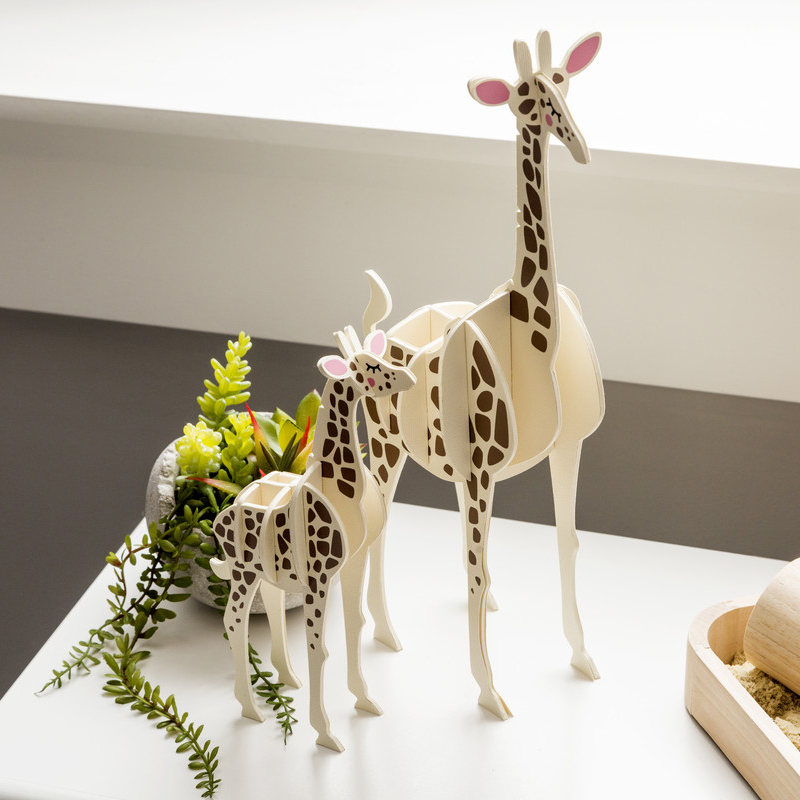 With up to 10X the pressure of our Explore family of machines, Cricut Maker cuts balsa wood, basswood, chipboard and different leathers of up to 2.4 mm (3/32”) thick with unprecedented ease and safety. Knife Blade allows for the customization makers want without looking any further. 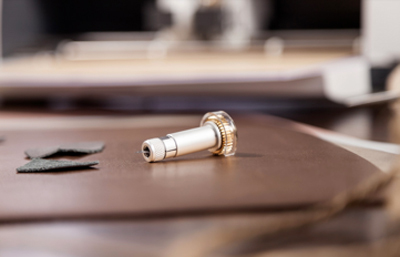 It is giving new desktop capabilities to woodworkers, leather workers and anyone who wants to use heavier materials the ability to craft without the need to outsource to an industrial-level shop. In June 2018, we announced Cricut Scoring Wheel™ and Cricut Double Scoring Wheel™ that improves the scoring experience for paper crafters and artists. Scoring Wheel makes a deep single-line score perfect for uncoated light materials like crepe paper, light cardstock and even acetate. Double Scoring Wheel creates two deep, parallel score lines that are ideal for coated heavier materials like poster board and cardboard. 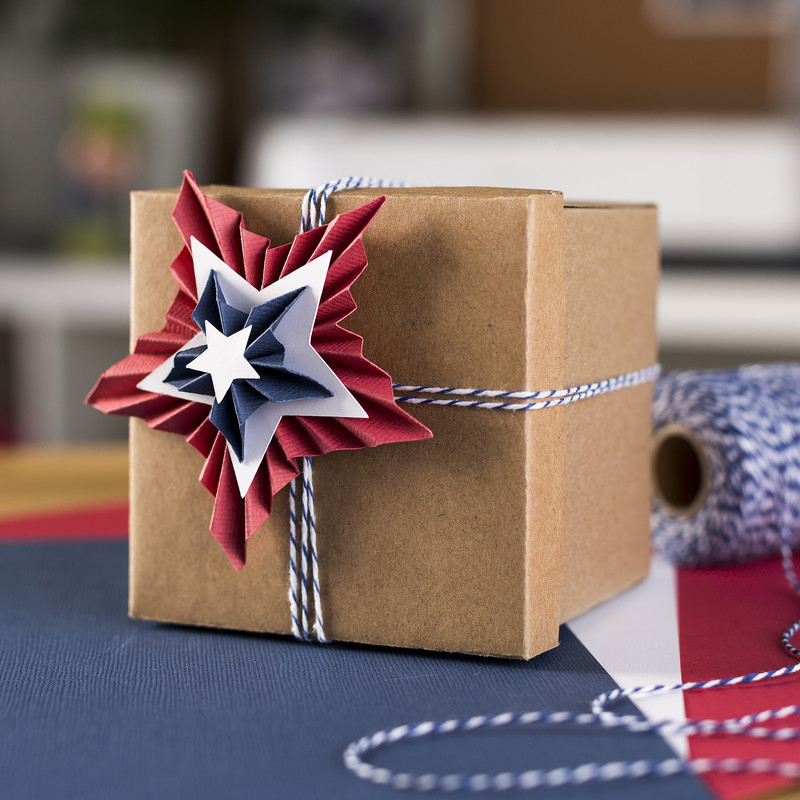 Whether you’re a 3D paper artist or avid card-maker, the Scoring Wheel family gives you more pressure than you can imagine to make crisper, dimensional projects. 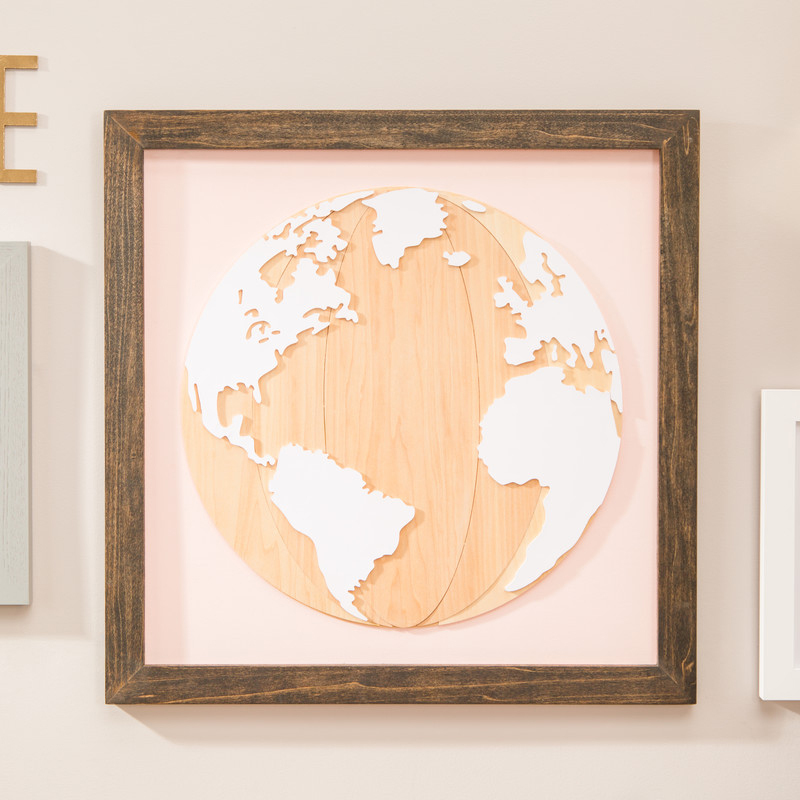 These Cricut Maker projects will inspire you. If you are as excited to celebrate Cricut Maker’s first birthday as we are, share this post with your friends that have a Maker machine or want one. Happy Birthday CRICUT Maker!!! Hope your birthday is a crafty one and many more years to come. Thank you CRICUT for joining my home. I love my Cricuts! Happy Birthday Cricut Maker! What a wonderful machine. I have a Cricut Expressipn, but hope to one day own a Maker. WOW! Congrats and Happy Birthday! I would love a cricut… I have one of the originals, and it’s not doing so good…..
Happiest of birthdays Cricut! I am a newbie and can not get enough of all the projects that are dancing in my head!!! I have been using my Cricut Explore Air just dreaming of how a Cricut Maker would really up my game with so many more options! But my dreams will have to wait because i can’t afford the Maker. I am saving up for it, just will be a long time…. I am a new wedding/event planner I am on the need of a circuit but unfortunately I cannot afford one now and I would be so happy to get a free one to promote my business.